- An important objective of the Foreign Investors Council is to increase the level of cooperation between foreign investors and local suppliers in the country. 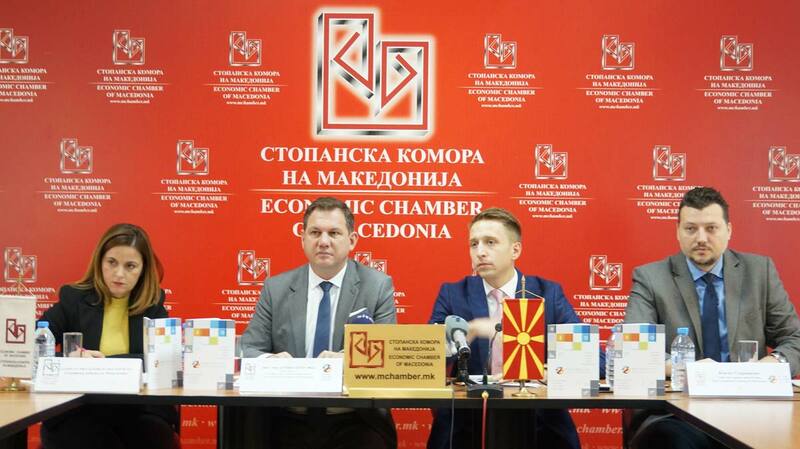 Taking this objective as a starting point, the Council published the second edition of the Business Catalogue of the FIC company members for 2019 - said Stefan Peter, President of the Council of Foreign Investors at the press conference held in the Economic Chamber of Macedonia. 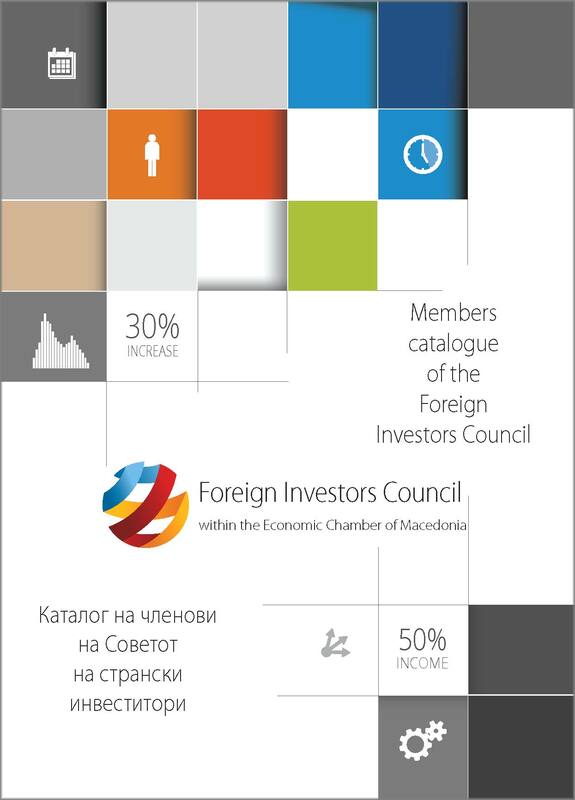 The Business Catalogue is an integrated database with around 130 member companies of the FIC. It provides a brief description of the companies’ main activities, their contact details, and a detailed description of their products and services. The Catalogue will be available in electronic form, and will be published on Council's website (www.fic.mk), and is envisaged to serve as a useful tool for domestic and foreign suppliers, partners and associates of the Council's member companies. Mr. Stefan Peter also presented the main events and activities of the Foreign Investors Council in the past period and the upcoming events that will be held by the end of this year. - At the constitutive session held last Friday (November 30, 2018,) the Association of foreign companies with technological advanced production within the Foreign Investors Council was established which will represent and advocate the specific interests of its members. The initiative for formation of such body came from a several foreign investors from the free economic zones with the aim to gather in one place all FDIs located in (technological-industrial development zones) TIDZ and industrial zones in order to formalize their single voice and the need of communication with the state authorities – stated President Stefan Peter. Viktor Mizo from the Kostal company was elected as the president of the Association, and Sonja Stefanovska from Baumer, Jathin Takrar from Dura Automotive and Borjan Borozanov from Aptiv were selected as his deputies. In accordance with the adopted working plan in the forthcoming period, the key priorities and objectives will be identified in order to improve the operations of foreign companies from the free economic zones in terms of increasing the predictability of the business environment and other aspects of interest of the members of the Association. President of the Foreign Investors Council, Stefan Peter, announced the continuation of the Project “SPEND A DAY WITH MACEDONIA’S LEADING CEOs” under the auspices of The President of the Republic of Macedonia, H.E. Gjorgje Ivanov, PhD. - The main objective of the Project is ten young and ambitious people from Macedonia to spend one day with the Macedonian leading CEOs with which they will get a rare possibility to see how the working day of a top manager looks like, to learn the processes of leading a company, acquiring new knowledge, practical experience and skills that will contribute to the development of their entrepreneurial spirit – enfisized FIC President. 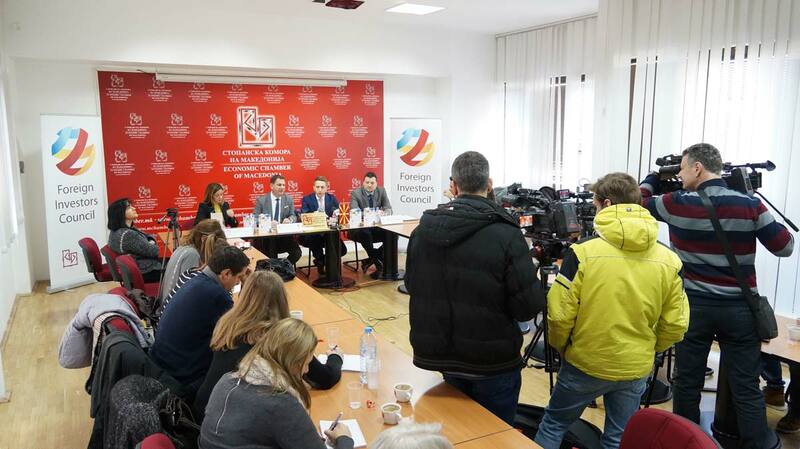 At the end of the press conference, Stefan Peter announced the of one of the most important events of the Council this year, which is the promotion of the publication "White Book 2018". The White Book provides an overview of the current economic situation and offers a set of priorities and measures for ease of doing business in specific business areas, in order to stimulate more dynamic investment of foreign capital in the country. The fife Working Groups within the FIC gathered members’ representatives with the task to monitor the national legislative and to contribute to the improvement of the business framework by drafting concrete proposals and recommendations released in the White Book edition – pointed out Stefan Peter. The promotional event of the FIC White Book will take place on December 12th, 2018 (Wednesday), in the Economic Chamber of Macedonia, starting at 12 hrs.